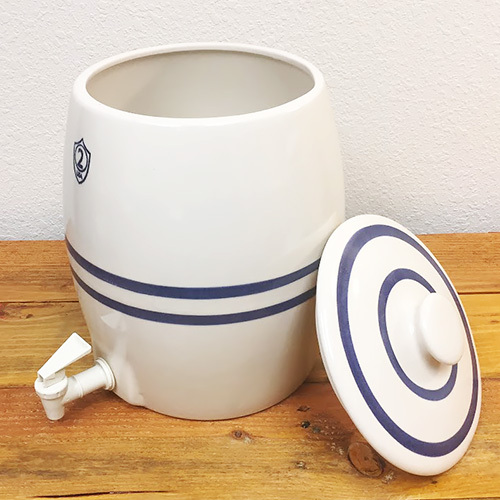 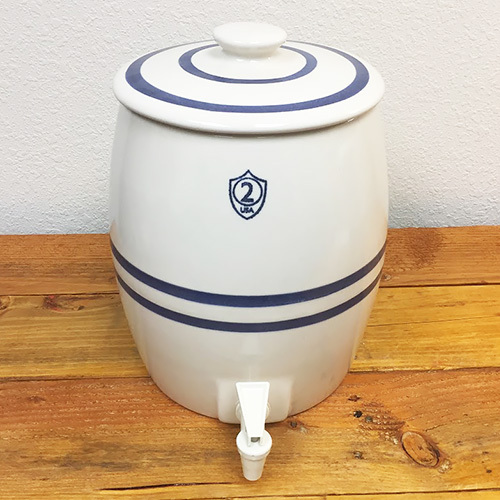 This two gallon Stoneware Keg with plastic spigot from Ohio Stoneware of Zanesville, Ohio is made to be attractive and functional. 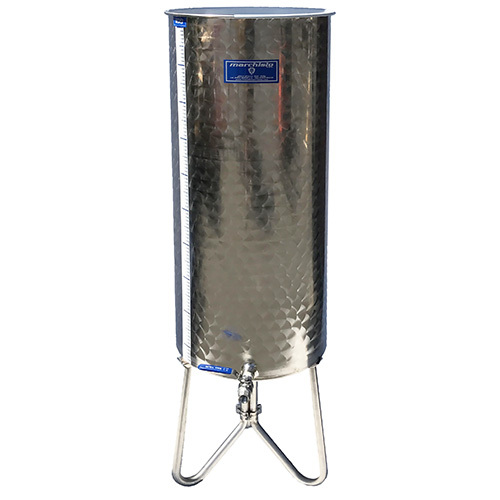 We have brought this into stock as a multi-purpose vessel for both fermentation and beverage serving. 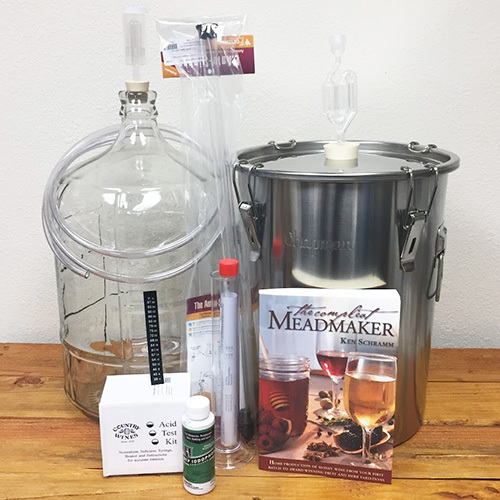 For kombucha and water kefir hobbyists, it will be a handy way to maintain a "continuous fermentation". 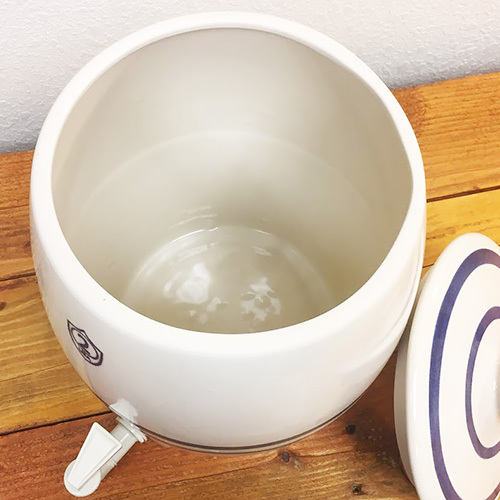 This 2 gallon crock set comes complete with spigot and cover.